This was a cold day, I ran 2 km along the beach while the flatmate climbed rocks. Sam brought along his camera and I snapped a few random shots of the cliffs. This is at White Rocks Beach, just 2-3 miles outside Portrush, Northern Ireland. Beautiful place, I collected rocks here when I was young. 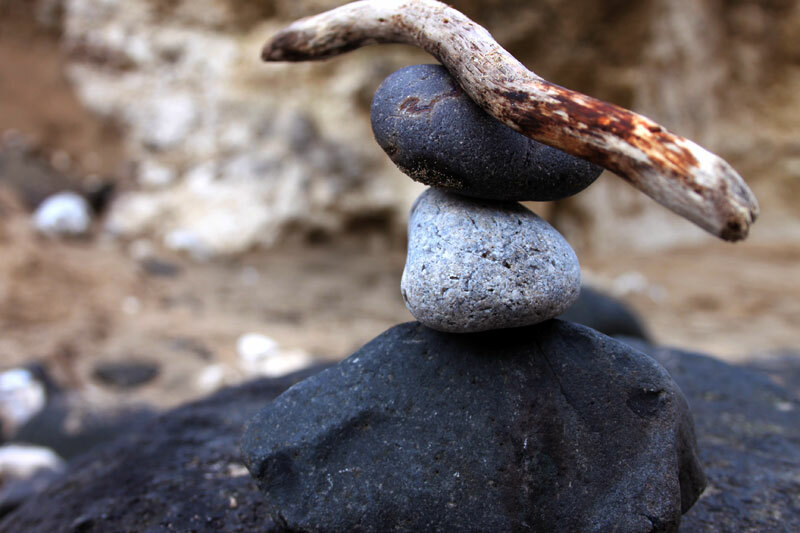 I also swindled this photograph of balancing rocks because I’m so deep… I balanced a few rocks, and took random shots of it along with Sam falling off the rocks, random pieces of sand, a stick and other things without bothering to edit settings, focus the lens or even look at the images. This was one of the outcomes which I actually liked, goes to show you can make anything look alright even if you’re messing around. Beautiful photography. One of my favourite places.